The Pulse Center for Patient Safety Education & Advocacy was founded in 1996 as a support group for people harmed by their medical care and incorporated soon after as Pulse of NY. The name was changed in 2016 to reflect our community based educational programs in patient safety and advocacy. Our goal has always been to empower patients and their families to be active members of their healthcare teams and support them through this journey. Research shows that involved and informed patients get better results. Medical errors are the third leading cause of death in the country and cost the economy as much as $20 billion a year. Pulse programs are a combination of guidance from national patient safety organizations and solutions garnered from the stories shared by patients and families about what works for them. Participants in our interactive community presentations and workshops learn from each other’s experiences with the support of Pulse trained facilitators. In addition to raising awareness about preventing medical errors in community meetings, Pulse offers bedside advocacy support, and training of friends and family to be skilled patient advocates for their loved ones. Our Family Centered Patient Advocate Training is also useful for starting a career as a professional patient advocate. 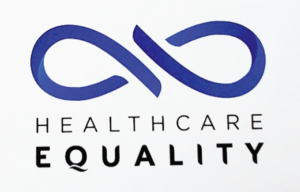 In keeping with our vision of a world in which the patient’s voice is heard and no one is harmed by their health care, we promote health care equity with our Healthcare Equality Project. We explore challenges faced by vulnerable populations in small group sessions and develop solutions by listening to participants’ stories and ideas. When it comes to Pulse’ work in the community our motto is: We Listen, We Learn, We Lead. Whether it’s at the bedside, in the classroom, or at a workshop, participants in Pulse programs are encouraged to communicate and partner with their healthcare providers. Eighty-nine percent of attendees reported that they will change their behavior because of what they learned through Pulse Center for Patient Safety Education & Advocacy. We never charge for our advocacy services. To help support this ongoing work, consider making Pulse your charities of choice this year. Pulse Center for Patient Safety Education & Advocacy is not affiliated with any other organizations. To find out if you have representation from Pulse CPSEA in your area or to become a representative call us today! Where healthcare consumers can find and share solutions A program of Pulse Center for Patient Safety Education & Advocacy. Since 1996, Pulse Center for Patient Safety Education & Advocacy (CPSEA) has been speaking with groups of people about their experiences as patients or caregivers using the healthcare system. In small or large groups, when people share their experiences, others learn. Pulse’s Patient Activation Through Community Conversations (PACC) program creates a forum for people to share their experiences, providing those in similar circumstances with insight and recommendations. PACC is not meant to be a “support group” but instead a learning group in which participants facing healthcare decisions may benefit from the group's conversations. A Community Conversation is meant to be a ninety-minute session hosted in someone’s home, with a religious community, a library or another quiet, private meeting space. (Groups may also meet online, with face-to-face capabilities and interactions, as long as all participants have a computer-connected camera, a microphone and the ability to see the facilitator’s screen through a screen-sharing process. Please call for additional information about when the next online PACC will be.) Groups should be no more than 12 people and no fewer than six, with a trained facilitator to lead the program. Participants are encouraged to share their experiences following the guided questions and topics chosen by the participants at the start of the conversation. Participants do not give advice or use words like “you should". All discussions must be in first person. When someone shares an experience, others can explain how they dealt with a similar experience. If no one has had a similar experience, the sharer can ask for advice, or the facilitator might ask if advice is wanted. No medical or legal advice is to be given otherwise. If a professional attends, they will be sharing their own experiences as a patient only. "I went to the doctor and I waited for three hours. I don’t want to do that again." "I went to the doctor and waited three hours to be seen, so I left and found a new doctor." "You should find a new doctor." PACC discussions are appropriate for people sharing a similar diagnosis or illness, friends and family members mixed, or any community of people willing to share their stories and to learn from others in order to improve their own healthcare experiences. To host a PACC contact Pulse Center for Patient Safety Education & Advocacy at 516-579-4711 or e-mail Email-us. 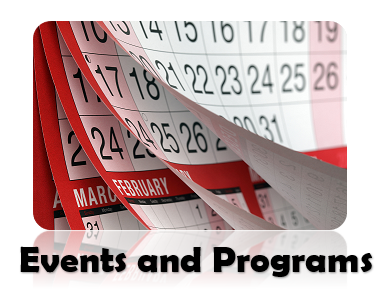 Call if you would like to schedule a program in your community or learn where the next one will be held: 516-579-4711. Families are encouraged to take this workshop together and learn to work together. Why become a family-centered patient advocate? Patients who are injured, sick, in need of surgery or a medical procedure, or just have ailing bodies may not be in a position to be active in their care and they may need to focus all their energy on getting well. For this reason an advocate or “helper” is crucial to the patient's care. But what exactly does an advocate do? Who would make a good advocate? The person who loves the patient most may not be the best advocate. His or her emotions may get in the way of good communication and clear decision making. Family-Centered Patient Advocacy Training will prepare you to be an advocate for one person or the whole family. Participants who take this training will have continued access to the instructors to assist in decision making and support. Registration is required, no walk-ins. We will design training specifically for the people you serve. There was a great flow to the presentation and it was easy to understand. I think the role playing portion was very helpful. Good presentation. Very good tools provided. Role plays were very effective to make points and see what may happen. Excellent speaker that informed us of things we weren't aware of before. A much needed help in the communities. Very informative. Reinforced the importance of caring & sensitivity to patients with disabilities. Good program. Need more frequency. Speakers such as you help create high quality and standards for our Medical School and its programs. With your participation on the patient-consumer panel, the committee members gained a better understanding the needs, values, and preferences of patients and consumers that directly affect patient safety and medication management, a key element of the committee's charge. I was my husband's (Michael) advocate on many occasions, relating to his brain tumor diagnosis in 2007. The doctor insisted on managing the tumor on his own without a neurologist who would be the specialist for this condition. I was persistent in following up because of my knowledge, some of which was acquired through PULSE. The actions taken were: Verifying medication type and dosage and insisted on seeing a specialist in the field of pituitary adenomas, the kind of tumor he has. I am a medical professional and a transgender man, (a man born in a female body). When I went for a hysterectomy, it was beneficial to the medical staff as well as myself to have Ilene Corina from PULSE, a trained, professional patient safety advocate. The doctor wanted to put me on a post-partum floor and Ilene was able to convince the doctor not to. Further, the advocate was able to answer very personal and difficult questions of staff so I was able to concentrate on healing. Ilene herself met with me and encouraged me to create a written record of all previous surgeries, allergies, and prescriptions I was taking. Since I thought I had finished with all medical treatments, I followed Ilene's suggestions more as a fanciful friendly duty. I was very grateful though later that year when I was again referred to another surgeon for a different medical concern. How comforting and reassuring was it to me to have my list of surgeries ready and available as well as the prescriptions and allergies. I was able to fill out my medical history easily and completely and with confidence that I was giving the new doctor an accurate medical history which no doubt helped him to treat me as well. Ilene Corina from PULSE trained the woman who was my advocate when I was diagnosed with breast cancer. A recent widow, I was overwhelmed by the diagnosis and feeling alone and very vulnerable. My advocate accompanied me to my pre-surgical doctor visits and helped me to ask the questions I had discussed with her beforehand. She calmly recorded the various treatment options as they were proposed and was able to discuss them again with me later as I mulled over which treatment path I would take. © 2018, Pulse Center for Patient Safety Education & Advocacy. All Rights Reserved.